The thought of having your own business or knowing where to start can be very daunting and overwhelming, after owning my own business and winning business woman of the year (in the East Midlands) twice, I am living proof that whilst raising a family, you still can do anything you want if you put your mind to it. Here are 6 tips or things you should do daily. 1) Wake up early - waking up early will enable you to fit more into your day. This is a realisation that every entrepreneur will go through as they make more time, they know more work will be achieved. Richard Branson once said: “I have learnt that if I rise early I can achieve so much more in one day”. 2) Exercise - has a virtuous effect when it comes to enhancing your performance on the job, as physical activity stimulates the release of hormones to boost your mood. 3) Think positive - positive thinking can really change the way your day plans out, positive thinking is a mental and emotional attitude that focuses on the bright side of life and expects positive results. A person with positive thinking anticipates happiness, health, and success and believes that he or she can overcome any obstacle and any difficulty. 4) Make an action plan - for the day, a to do list, many entrepreneurs begin each day with a list of goals for the day. Without doing this many people fall off focus and don’t achieve what they would have liked to have done that day. You can even do this the night before, without those goals in mind, how will you know where to start. 5) Stick to a routine - having a routine does wonders for the mind-set. Every step you take during your journey, you will gain strength, courage and confidence and by every experience you will learn something new, just remember “if opportunity doesn’t knock, build a door”. “Our work is the presentation of our capabilities” so come on ladies lets go and put our stamp on the world. Come and join me for a chat and presentation at the Mums Enterprise Road Show Manchester and London. 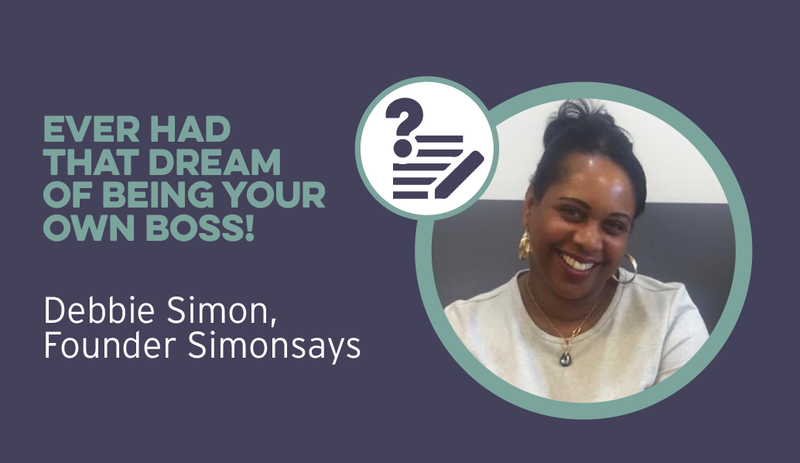 I will be exhibiting my Franchise - Simonsays, Collect your free goodie bag and be one of the first to preorder my soon to be released book - THE BIGGER PICTURE- Creating lasting change for financial success.